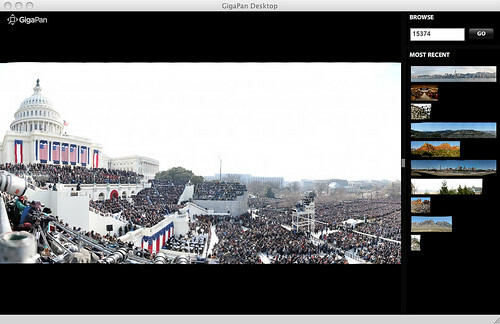 Ever wanted to check out those super-high-resolution images from GigaPan.org in fullscreen? Now you can with GigaPan Desktop. Last week I’ve built a desktop application for viewing GigaPan images in fullscreen using Adobe AIR and the OpenZoom SDK. You can choose gigapans from a list of the most recent ones or simply by typing in the ID number of the gigapan. The application runs on Windows, Mac OS X and Linux. Please share your feedback and feature requests on our community.